Kahrs Linnea is 7.4mm thick with a thin hardwood veneer, despite its thin top layer, it is as hard and durable as many wood imitations, in fact it's HDF middle layer gives Linnea a greater durability and resistance to indentation than most solid hardwood floors. 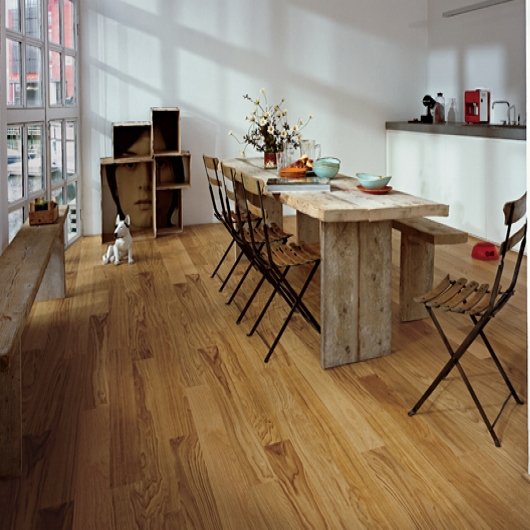 All Linnea floors have a hardness factor almost double that of a traditional oak floor since the hardness of Linnea is defined by the core material. Kahrs Linnea floors have an easy fitting woodloc joint system and are installed as a floating installation over an underlay and moisture barrier over virtually any smooth level sub-floor. Kahrs Linnea Oak Breeze 2..
Kahrs Linnea Oak Tide 2-s..
Kahrs Oak Linnea Castle P..
Kahrs Oak Linnea Dome Pla..
Kahrs Oak Linnea Gate Pla..
Kahrs Oak Linnea Tower Pl..